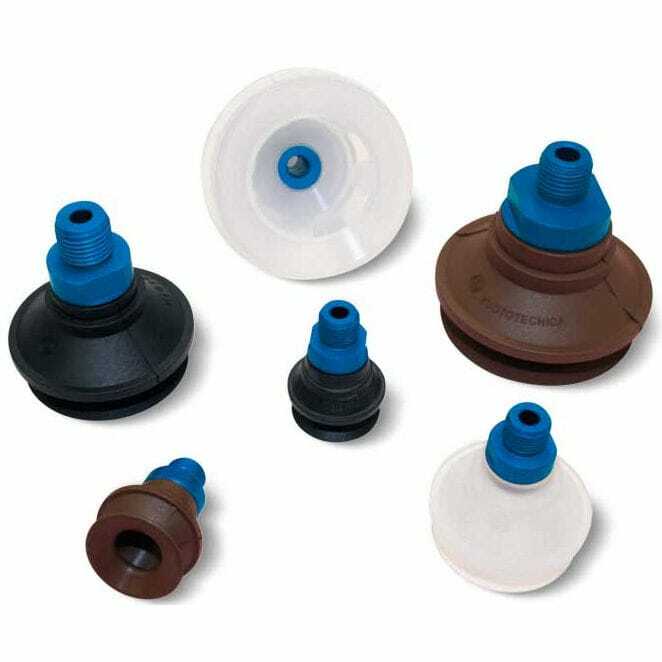 These BELLOW Vacuum cups have male/female threaded connectors which are vulcanized onto an aluminum hexagonal support having a M8 threaded hole so that calibrated grub screw can be inserted through it. These cups can lift the load for a few centimeters without moving the lifting frame as they quickly crumple up during the grip so that load get stuck to the lifted one quickly avoiding the load beneath. This feature makes it suitable for handling thin metal sheets, glass sheets, chipboard or compressed wood panels, laminated plastic etc. High flexibility helps to compensate flatness errors or can be used for the grip of inclined surfaces. 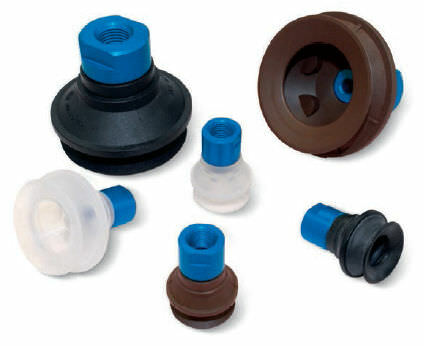 Manufactured from standard compounds these cups are also available in special compound compositions.